Donald "Donny" Ray Gates age 58 of Athens passed away Tuesday, October 23, 2018 at Sweetwater Hospital, after a lengthy battle with cancer. A native and lifetime resident of McMinn County, he was a member of East Niota Baptist Church. He was retired and had worked at Athens Utility Board and as a surveyor for many years. 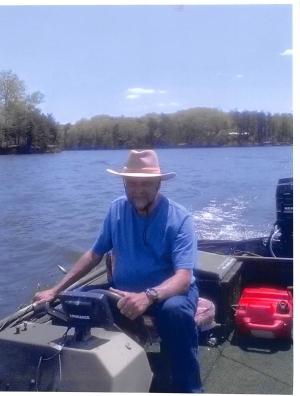 He was an avid sportsman and loved to fish and hunt. He liked to sing solos and help in the choir at church. He was preceded in death by his father Ben Gates and nephew Randy Gates. One son, Riley Gates of Athens. Nieces and Nephews; Michael Gates, Chris and Valerie Nolan, Hannah and Scott Davison. Several great nieces and nephews. Special thanks to the doctors, nurses and faculty at Sweetwater Hospital for their wonderful care. Funeral services will be 6 pmThursday, October 25, 2018 in the chapel of Laycock-Hobbs Funeral Home with the Rev. Jerry Plaster and Rev. Jack Hearron officiating. The graveside will be 11:00 am Friday, October 26, 2018 at McMinn Memory Gardens. The pallbearers will be Robin Hayes, James Whitener, Michael Gates, Chris Nolan, Dickie Slack and Buford Baxter The family will receive friends from 4-6 pm before the service at the funeral home. Those unable to attend may send condolences to www.laycockhobbs,com/notices/Donald-Gates Laycock -Hobbs Funeral Home will be in charge of the arrangements.